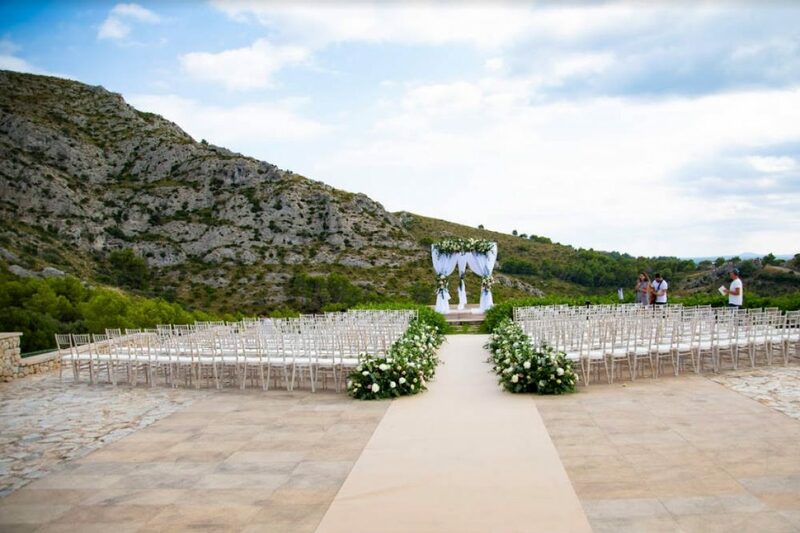 Celebrating weddings in Mallorca supposes certain added advantages that the natural landscape of the island gives us. A landscape of contrasts in which the mountains are protagonists. Our mission? Find hidden spaces to have beautiful weddings. We recently had the pleasure of working for a beautiful couple. They wanted to celebrate their special day in an exclusive environment. The chosen space was Alcudia, a beautiful village in the north of the island with charm and personality. From the first hour, our team of professionals moved to the farm to start assembling all the details that would make the space a perfect place to celebrate this alliance. Lamps, ornaments, flowers, drinks stands, endless tables and a stage where a band would later entertain the evening. While the groom waited patiently, the bride came radiant to cross the path that would take her to the pergola that was in front of the white seats of all the witnesses of the union of this young couple. Cocktail and lunch would be served on the tables already prepared with a sophisticated and careful attention to detail for each of the guests. The bridal table preceded the treat. The menu we serve, prepared with Mediterranean products of the highest quality, filled the dishes and surprised all the guests by the cutting-edge techniques used in Marc Fosh Catering. After the toasts and at the end of the afternoon, the happy guests were in front of the stage to enjoy the evening with the band The White Keys. With it, they danced to the rhythms of soul and funky while the Mallorcan sky turned reddish, leaving spectacular views of the sea. 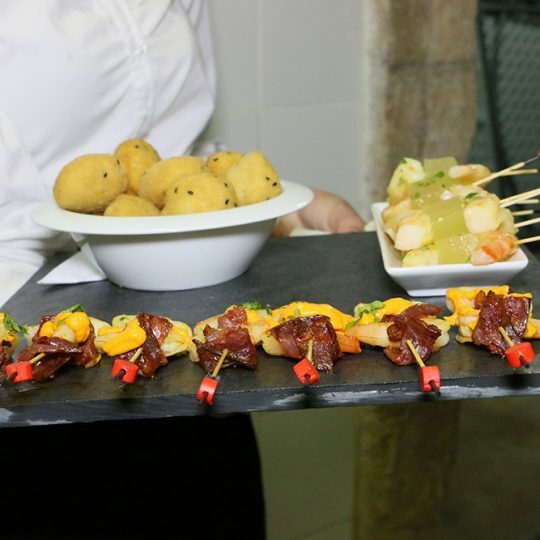 A perfect and unforgettable day for the bride and groom but also for all their guests, who were able to absorb the essence of the Mediterranean spiced up by our top quality catering. Do you want to see the video of the event? Do not miss it on our YouTube channel!